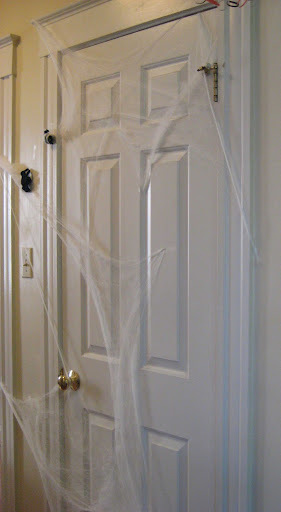 The posts about some of these projects have not been published yet, but in spirit of the holiday, I wanted to share with you how knitting contributed to our Halloween party decorations. 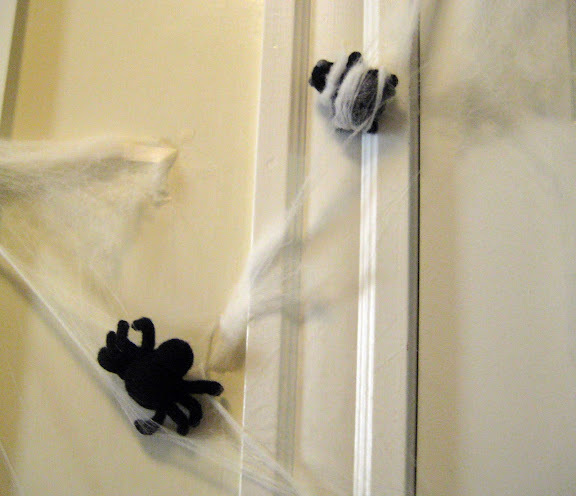 The Entrelac sheep has been sitting on my shelf so long that the spiders decided to use it to anchor the web! 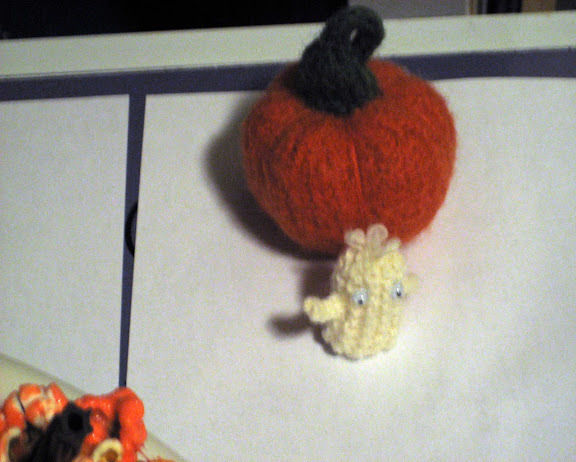 A closeup of the jar of eyeballs, ghost and small felted pumpkin. The entirety of Keith's pumpkin posse. Tally is 2 knit, 1 paper, 3 real, and 24 edible pumpkins. Which do you expect to last the longest? 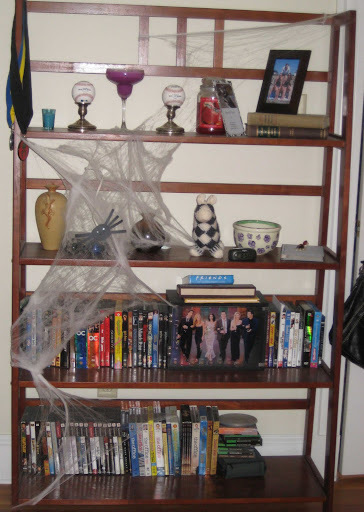 And finally, my house was covered in spider webs. The culprit? Well the ChemKnits knit spider, that's who! 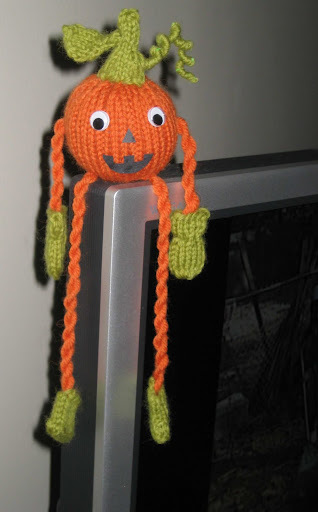 And the ChemKnits fly looks like it is going to become a treat for someone this Halloween! 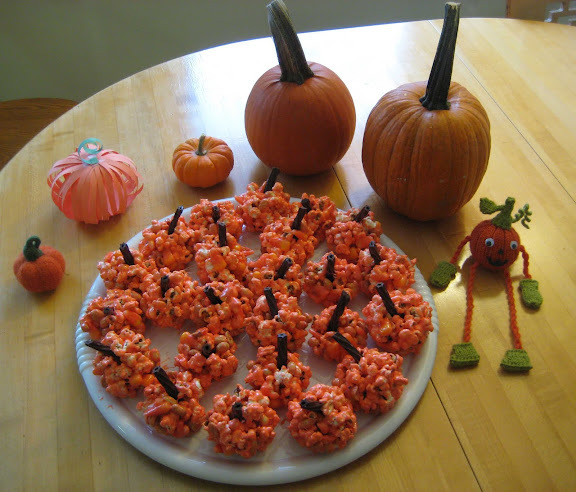 Looks quite festive... you are definitely ready for your trick-or-treaters! 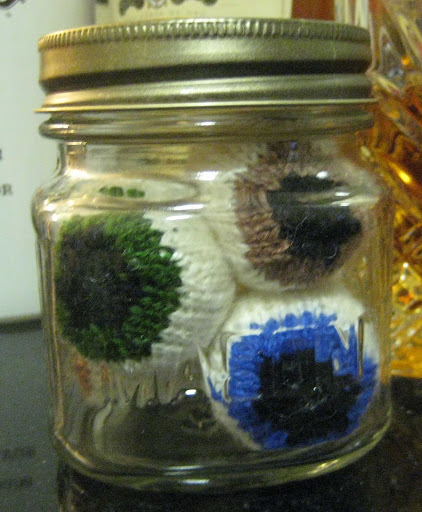 I love your jar of eyeballs! Your pumpkins might last longer, but none of them have more heart than nachito. What do you think the edible pumpkins are made out of?